Inuyama is a city in Aichi Prefecture that radiates with history and well-preserved tradition, dating back to the Edo period. 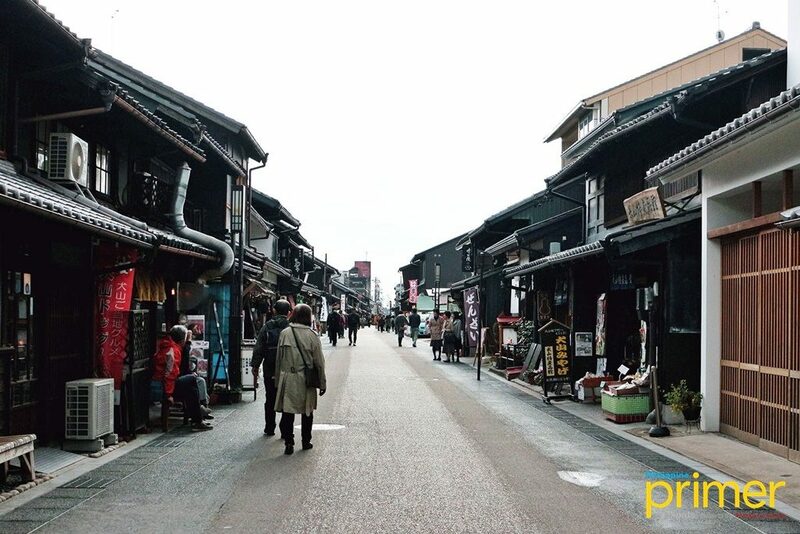 In fact, the city is deeply rooted in history that even the streets of the castle town give you a sense of going back in time, lined as they are with old Japanese wooden houses. 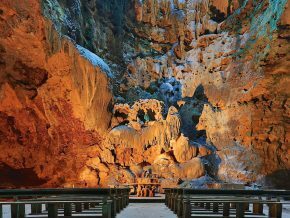 Inuyama City boasts an army of museums that will provide you with a historical account of Japan’s well-preserved culture. What’s more is that Inuyama City is home to one of the oldest and most magnificent castles in the country—the Inuyama Castle. The castle town is guarded by the historic Kiso River to its north, which is a famous site for cormorant fishing, a century-old technique used to catch river fish. Kiso River is known for traditional cormorant fishing. 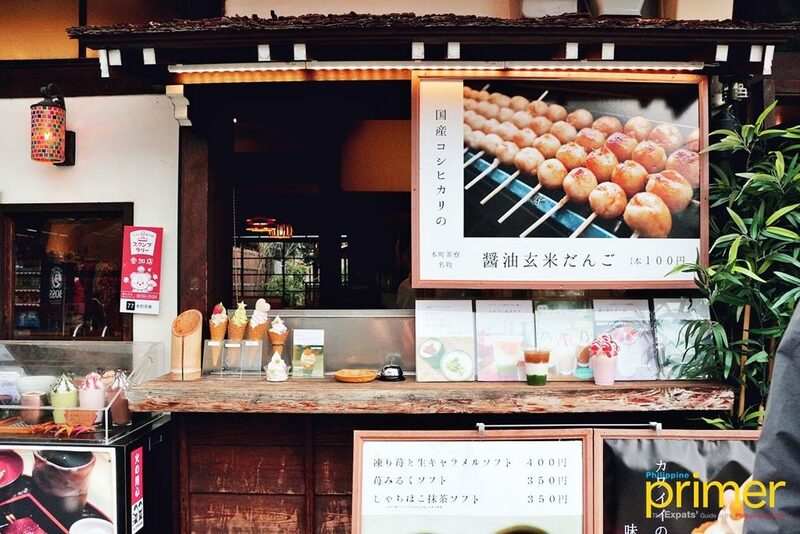 With its quiet glory never waning, Inuyama welcomes people to relive and reimagine the old town’s cultural kaleidoscope of festivals, traditions, historical artifacts, and local gourmet. Wearing a traditional kimono as you go on a historical adventure, you can’t help but be engulfed in the town’s enigmatic beauty. 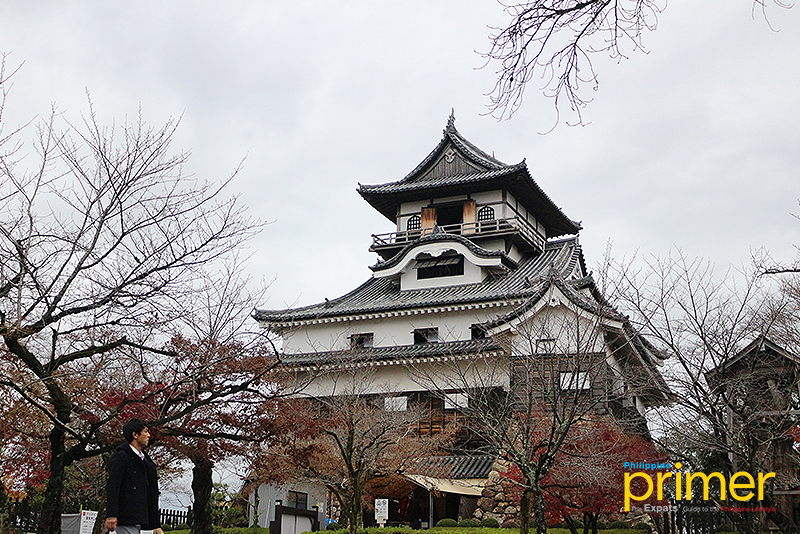 Inuyama Castle features a mysterious beauty, overlooking its castle town below. 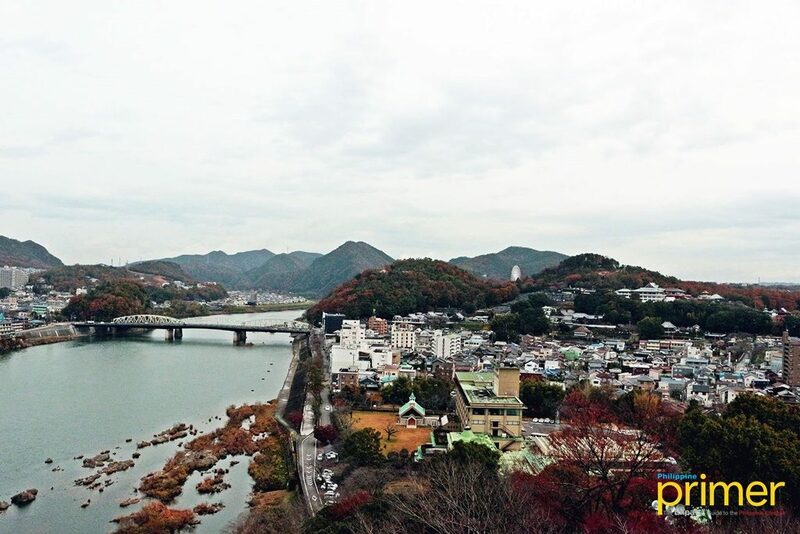 From its seat on a rocky mound looking over the Kiso River, Inuyama Castle stands as the crown jewel of the region, surrounded by quaint villages and overlooking nearby cities like Nagoya to its south and Kakamigahara to its northwest, right across the river. 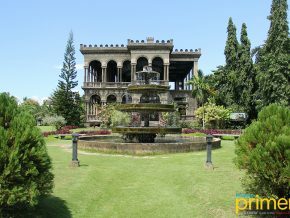 It exudes a kind of mystery that will ultimately lure you inside its keep. You will go through steep and narrow staircases that lead to the top of the castle, where the most awe-inspiring part of the castle can be found. 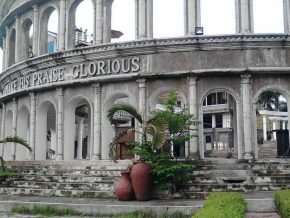 An encompassing balcony that used to be a lookout post now serves as a rustic viewing platform that not even modern-day skyscrapers can rival. The balcony of Inuyama Castle is a rustic viewing platform that not even modern-day skyscrapers can rival. Inside the top deck, you can find landscape paintings from the Taisho Era, about a hundred years ago, hanging on each side of the castle. 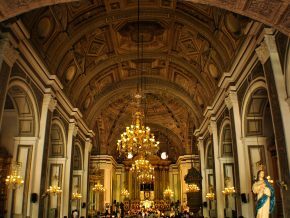 These paintings give you a picture of how the region looked like before modern buildings and infrastructure took up land. 100-YEAR CHALLENGE: A painting from the Taisho Era shows what Inuyama castle town looked like a century ago. 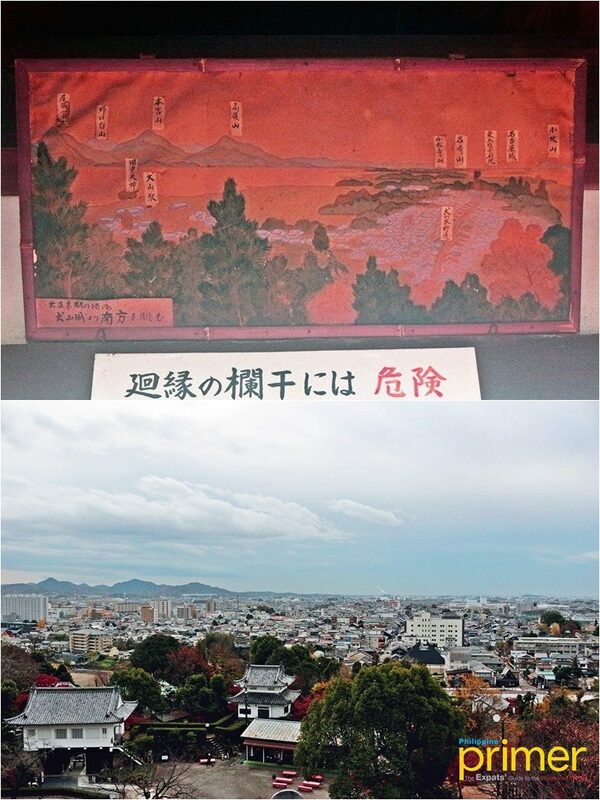 100-YEAR CHALLENGE: The Taisho Era painting on the northwestern wall of Inuyama Castle shows what Gifu Prefecture on the other side of Kiso River looked like 100 years ago. 100-YEAR CHALLENGE: On the eastern wall of Inuyama Castle, the Taisho Era painting shows the then-newly built Inuyama bridge. About 100 years later, the bridge is still there connecting Inuyama to Gifu Prefecture. Inuyama Castle was built by Oda Yojirou Nobuyasu, an uncle of the great Japanese samurai warrior Oda Nobunaga. Although it was built by Nobuyasu, it became home to different lords who took over the castle in the years that followed, as seen on the painting on the walls of the top floor. Put up on Inuyama Castle’s wall are photographs of the most recent owners or caretakers of the castle. 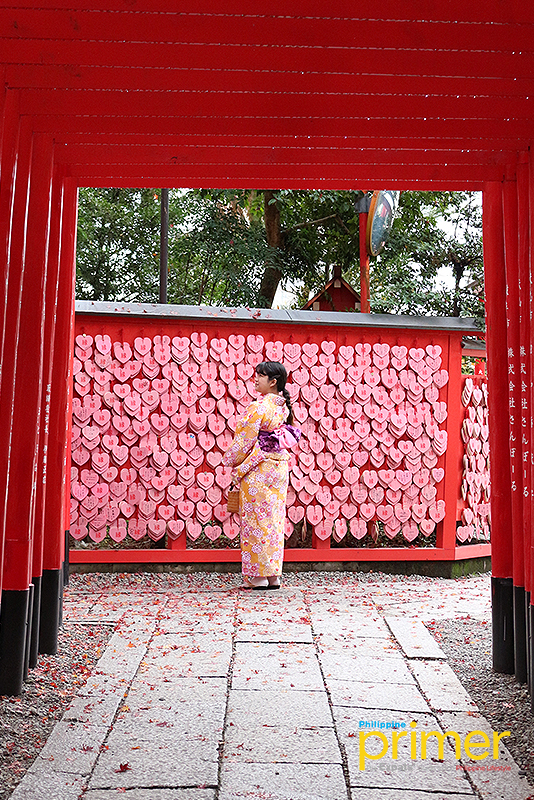 Get drawn towards the peaceful Sanko Inari Shrine. After touring the ever-compelling Inuyama Castle, it is best to visit the Sanko Inari Shrine on your way down the path from the castle. From the castle to Sanko Inari Shrine, it will only take you five minutes to reach the place. 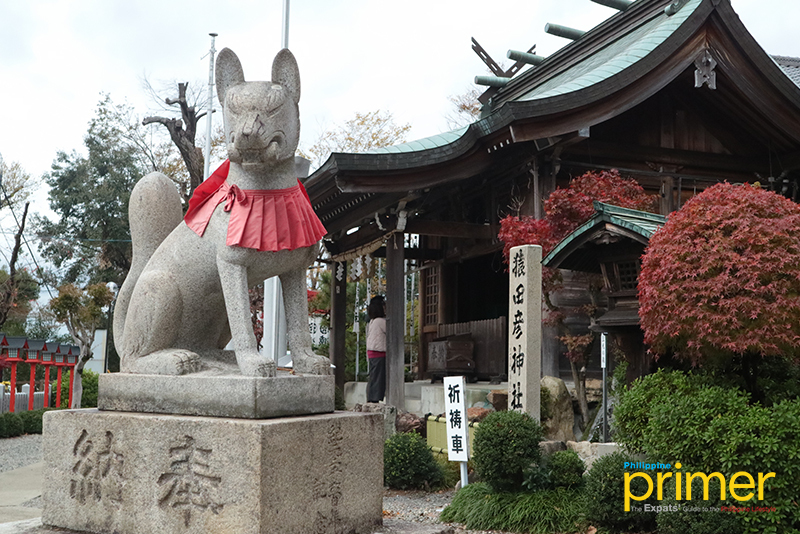 Sanko Inari Shrine is a Shinto temple guarded by Inuyama’s deity of agriculture and prosperity—the “inari” or the fox. This is why upon entering the grounds of the sacred sanctuary, tourists are welcomed by fox statues guarding the place. Get ready to be welcomed by fierce stone foxes on your way up! Said to have been founded in 1586, the temple used to be frequented by the previous lords of Inuyama Castle. 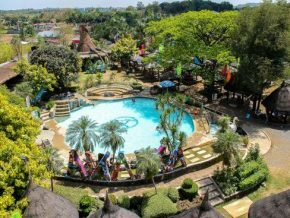 Now, every visitor is welcome to pray for luck, fortune, and romance. 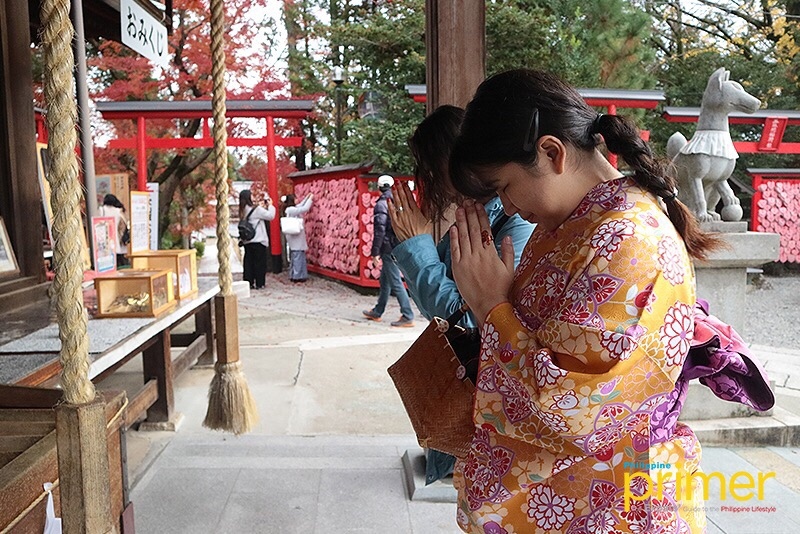 Before praying in front of the shrine, ring the bell first to call on the kamisama or Japanese god. 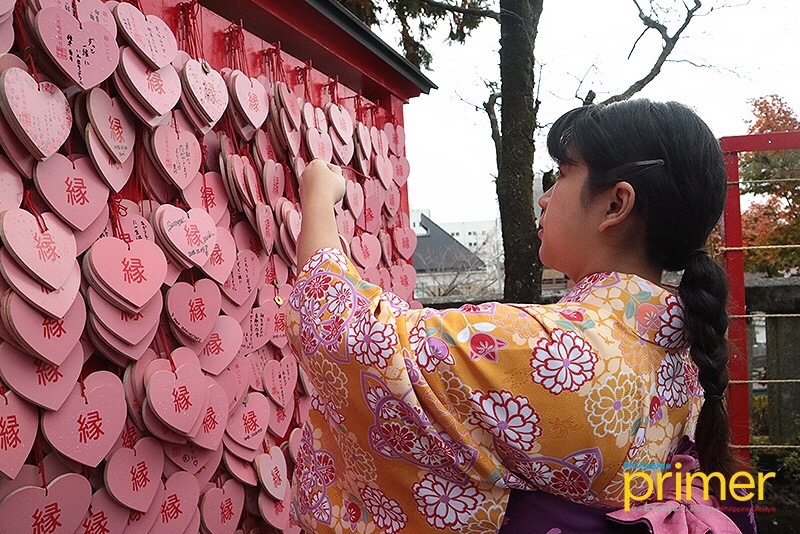 You may purchase a pink, heart-shaped wooden board they call “ema” (¥500) where you can write your wishes for love and happiness, and then hang it on a wall together with other wooden boards put up by other visitors. For good luck in love and relationship, place your wooden heart for the heavenly forces to see. Another popular spot is the torii gates lined up like a tunnel—a perfect spot for your Instagram photo, especially while wearing a rented kimono. The torii gates at Sanko Inari Shrine can be your next Instagram spot. Lastly, for good luck and fortune, another famous activity is money-washing. This act of washing your coins and banknotes is said to bring back your fortune two-fold. Wash your money and get some aplenty. 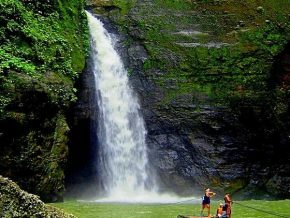 This tradition of money-washing is one experience you wouldn’t want to miss. The old castle town of Inuyama is fascinating to explore. Besides Inuyama Castle itself, the castle town is just as fascinating to explore. Honmachi-dori, the main street across the main castle grounds, is lined with old Japanese wooden houses that now serve as restaurants and shops. Perhaps due to the infrequency of vehicles passing on Honmachi-dori, walking on the street is pleasant especially on a clear day. The atmosphere along Honmachi-dori is dreamy as if you’re getting a glimpse of the city’s past. If you walk from Sanko Inari Shrine, you will feel the atmosphere gradually transition from quaint and modern to the hazy, dreamy feeling of getting a glimpse of the past, as if you walked through a wormhole that connected two different time dimensions. From Sanko Inari Shrine, the road starts with some brighter-colored concrete buildings that house souvenir stores and museums like the Inuyama City Cultural Assets Museum (Shiro-to-Machi Museum). Eventually, you will see darker-colored wooden houses that spell out imperishable history—a history that consists of the castle town enduring battles after battles, and natural disasters. 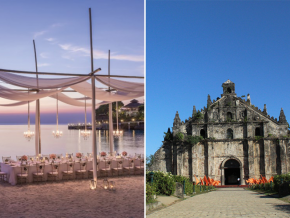 There are many delicious restaurants and snack shops to try along the way! 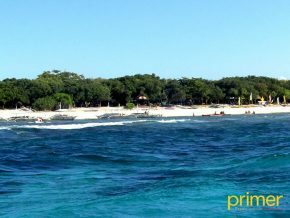 Most of the restaurants, cafés, and shops in the area would be open by 11 a.m. and would be closed by 5 or 6 p.m. It is ideal to explore the castle town after visiting Inuyama Castle and Sanko Inari Shrine in the morning. For the best Instagram photo, rent a kimono before you tour around Inuyama castle town! 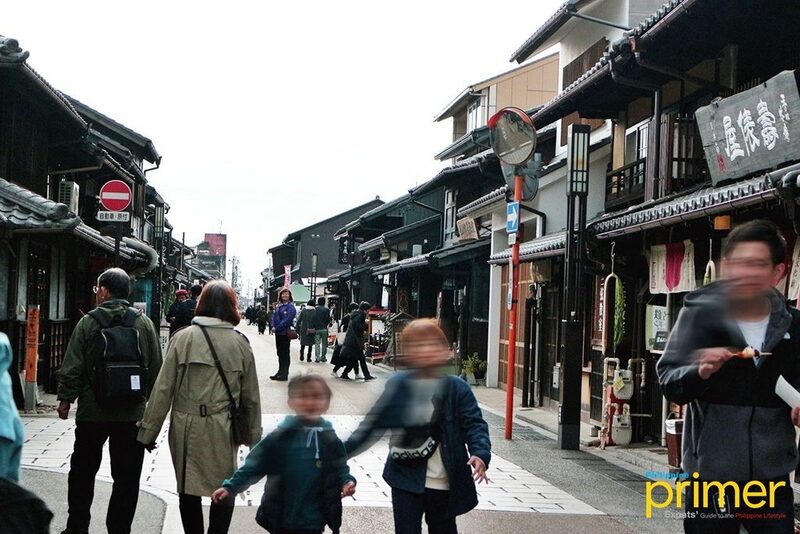 The best way to immerse in the traditional setting of Inuyama is by walking around the castle town in a kimono, which you can rent at Inuyama Biyori. Inuyama Biyori is located close to Honmachi-dori. 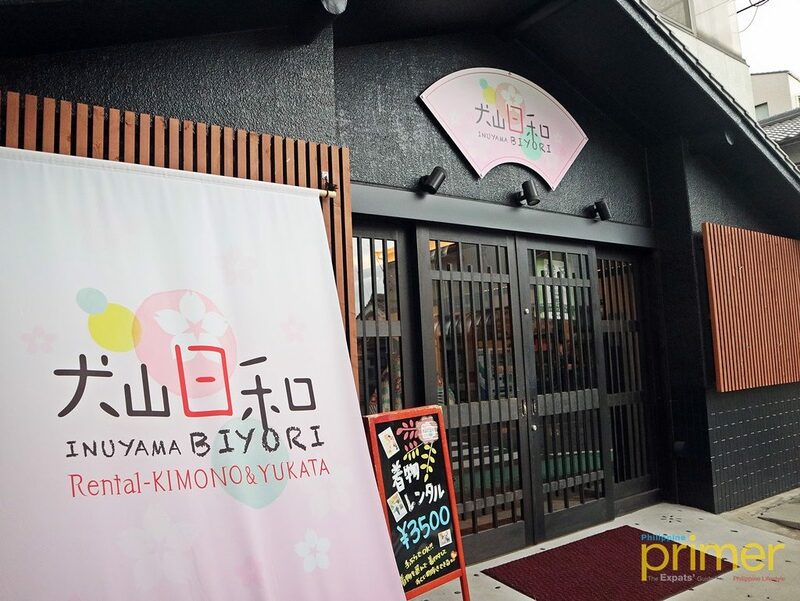 Located close to Honmachi-dori, Inuyama Biyori offers both kimonos and yukata for rent. Both are traditional Japanese clothing, but kimonos are known to be more ornate and more expensive to buy. Yukata are made from cotton, while kimonos are usually made from silk. Both garments can be worn by men and women. 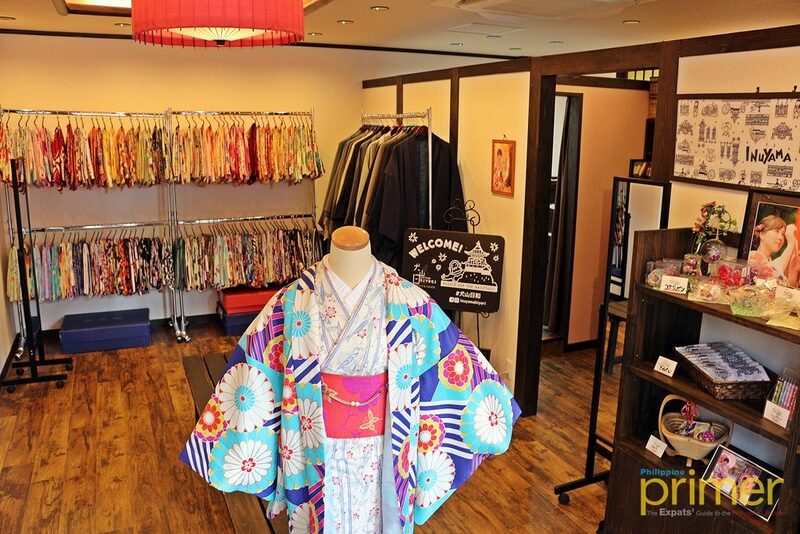 There are many kimonos to choose from for both men and women. Kimonos are worn meticulously. There are different layers like a white underrobe (nagajuban) and an undersash before the kimono itself is worn and tied around with a wider sash called obi. The dress-up process is very flattering, with two professional dressers delicately putting the garments on you, which somewhat gives you a feeling of royalty. Besides the kimono, the costume set includes tabi or the Japanese split-toe socks, zori or wooden sandals, and a kinchaku or handbag (for women). There is no time limit to the rental of kimono at Inuyama Biyori as long as you return it before they close for the day. You have to take extra care not to damage or stain the kimono as the shop may charge you for it, which is not very cheap. 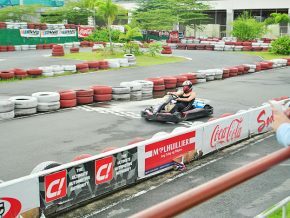 Operating Hours: 10 am to 6 pm (Mon, Wed to Sun) *Reservation is required. Iseya Suna Oroshi is one of the many restaurants in Inuyama Castle Town housed in an old structure. 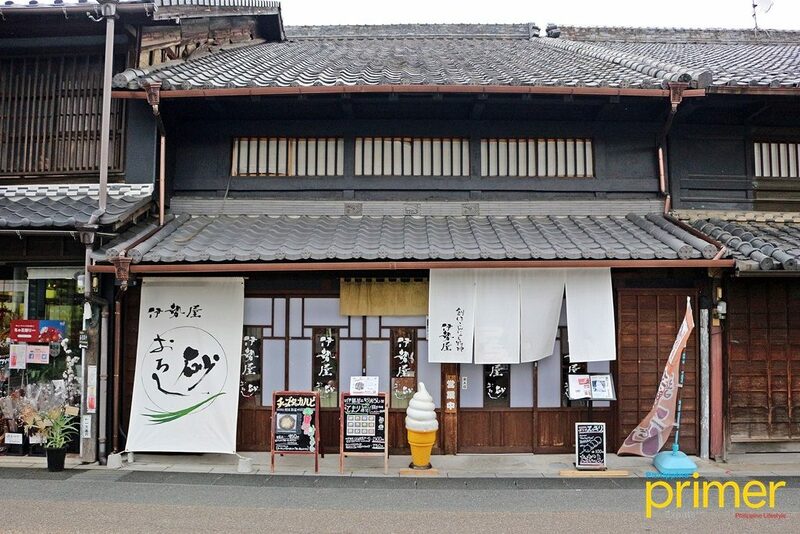 Housed in a 200-year-old wooden structure, Iseya Suna Oroshi serves cute and colorful ball-shaped sushi called temari. 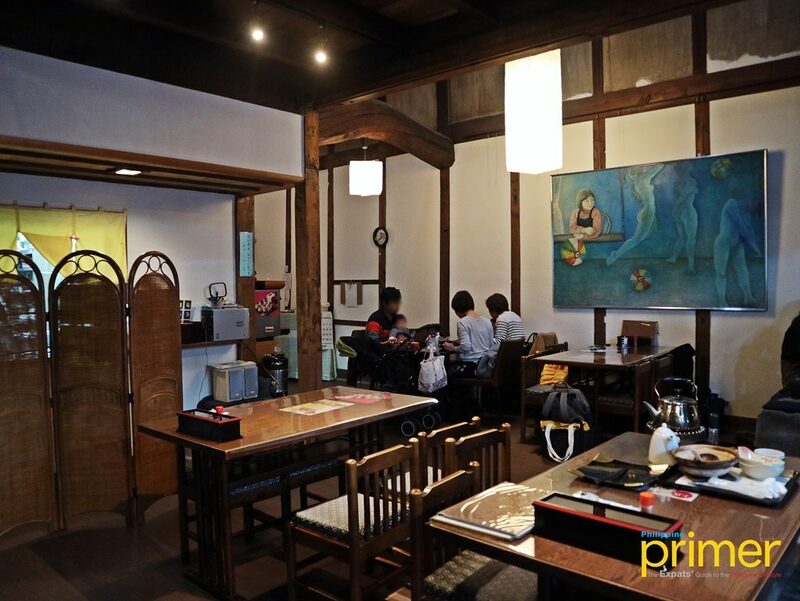 Iseya Suna Oroshi has a rustic and homey atmosphere. They use vinegared konjac (konnyaku) rice, which is said to be a healthy rice alternative with fewer calories. The temari balls are fun to look at and even more fun to eat. Although they are supposed to be bite-size, the balls are considerably big, giving you a mouthful of satisfaction each time. There are 12 varieties of neta (sushi toppings) to choose from, including tamago (Japanese omelet), shrimp, tuna, salmon, radish, cucumber, and more. 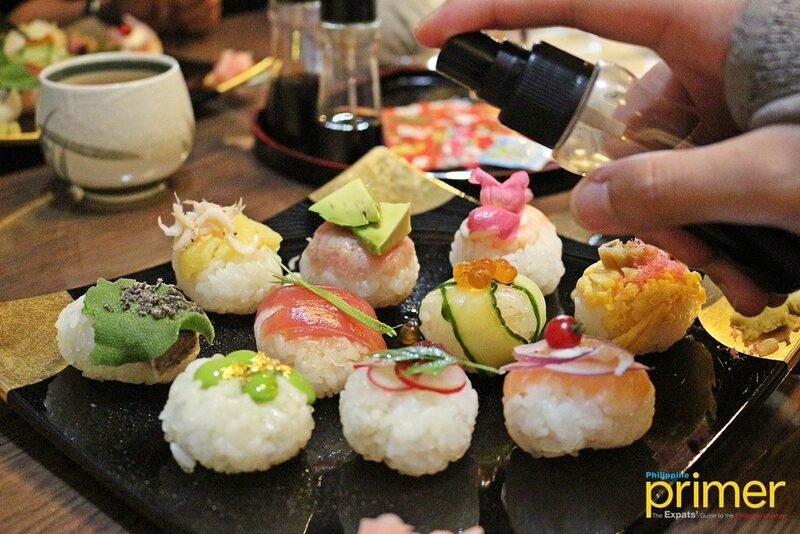 Another fun thing is that their soy sauce is provided in a spray bottle so you can avoid over-soaking or disintegrating the sushi if you dip it. No need to dip—just spray your cute temari balls with soy sauce! Shiro-to-Machi Museum is best visited after a tour to Inuyama Castle. 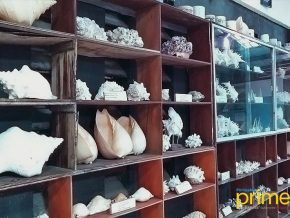 To get fully acquainted with the mysterious beauty of Inuyama City, it is only fitting to visit Shiro-to-Machi Museum, also known as the Inuyama Cultural Assets Museum, located just within a short walking distance of Inuyama Castle. 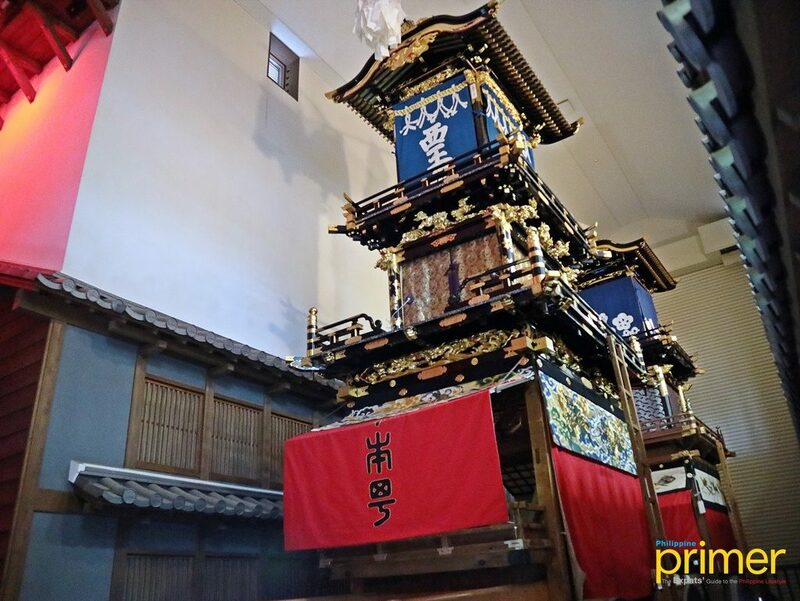 This huge glass-encased model of Inuyama Castle Town is so intricately made, you’ll be amazed at the tiny yet detailed models exhibited therein. A vast glass-encased model city of Inuyama in the middle of the museum—with streets filled with colorful floats and jubilant people in celebration of the historic Inuyama Festival—offers a lifelike representation of the city’s culture. What perhaps makes it an interesting experience is how the representation seems to lock you in at the moment, letting you picture how life was during the Edo period. A festival is happening inside—see how the people of Inuyama celebrated their festival in the past. Deeper inside the museum, bigger models of festival floats, and samurai swords and armors are exhibited. Ceramics reminiscent of Inuyama’s flourishing pottery industry are also on display along with old maps, cards, and other items showcasing the town’s ancient architecture. 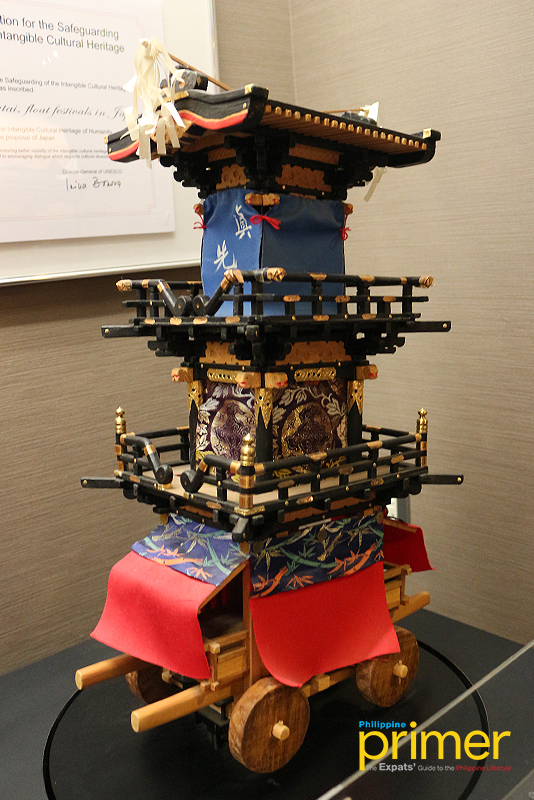 This is just one of the many models of the float used during the Inuyama Festival. Floats used during the Inuyama Festival measure up to eight meters tall! 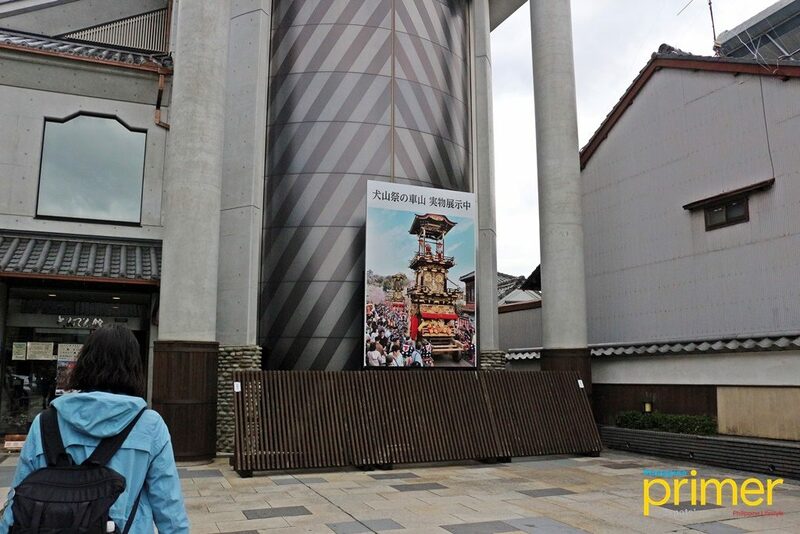 After viewing small and medium scale models at Shiro-to-Machi Museum, move on next to this museum to see just how huge the festival floats are. Donden-kan is on the southern end of Honmachi-dori, just a six-minute walk from Shiro-to-Machi. Festival Museum Donden-kan is just a six-minute walk from Shiro-to-Machi Museum. 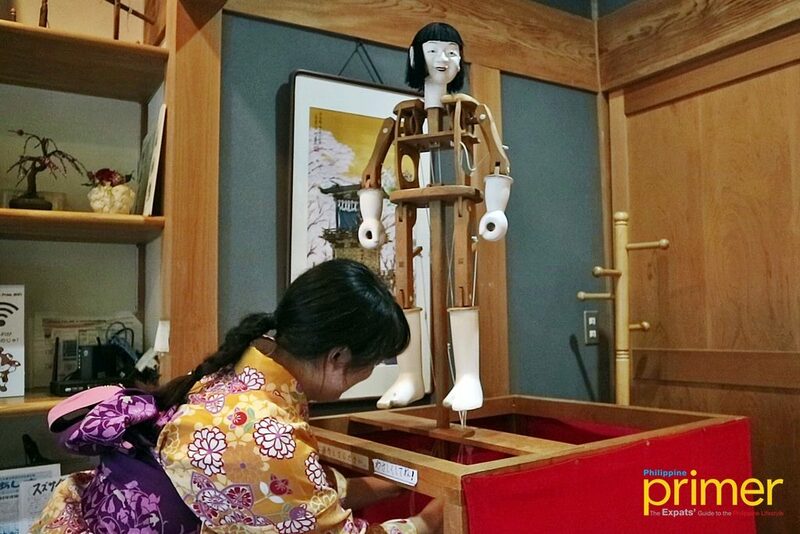 Upon entering the museum, you might first notice a wooden puppet or marionette, which is also a common sight in Inuyama Festival. Marionettes usually stand on top of the festival floats, adding more life to the festival with short performances. Controlling a marionette looks fun, but it’s not that easy! 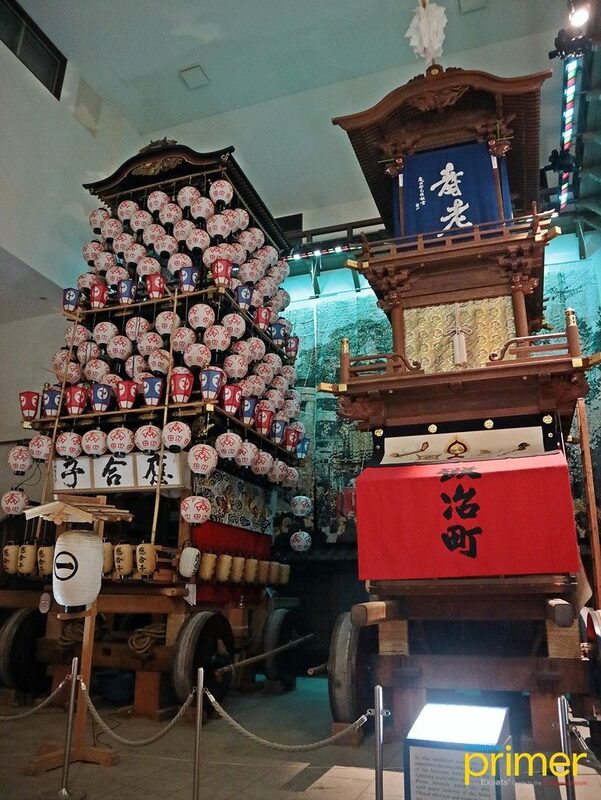 Three actual floats used during Inuyama Festival, measuring up to eight meters tall, are the main attraction at Donden-kan. Up close you can appreciate the striking grandeur of the floats in their dormant state—just imagine these huge vehicles roaming around the castle town on a festive day! How nice it would be if you could also see these floats during the Inuyama Festival! There are more exhibitions of illustrations, artifacts, and dioramas depicting the history and culture of Inuyama on the second floor. By train, take the Meitetsu Inuyama Line from Nagoya Station going to Inuyama Station. The trip only takes 25 to 30 minutes. From Inuyama Station, everything covered in this guide is within a walking distance.